Here are some good words from pro surfers, friends in the surfing industry, and students who have taken surf lessons from us. Check them out! He’s (Bryan Suratt) a guy with a big heart who opened up his home to us. His whole family is classic. We stayed with them a lot and he taught us a lot! The best surf lessons ever! The best surf lessons in the world! Aloha! We want to thank you for all of your wonderful hospitality and friendship! We had a great time, and as always we were so glad to be under your guidance and care during our surf sessions! You are the best! Before we went to Hawaii we had heard of Uncle Bryan and knew we could find him on Sunset Beach where we were staying. We arrived to our destination, and within an hour or so had met Uncle Bryan and we were set up for surfing lessons the next morning. It was one of our favorite activities while in Hawaii we even went back for another lesson. Uncle Bryan and Lisa were the nicest. Beyond the lessons, they taught us about Hawaiian culture and invited us to share in some of their traditions and activities. We can not say enough good things about Sunset Suratt Surf School. It’s not just a business, it’s a way of life! We love them! My first surfing lesson was actually with another surfing school on the North Shore of Oahu. The class was overcrowded and I was left alone in the water to fend for myself! I was just about to swim in from the lesson and give up when Uncle Bryan swam over from his lesson and helped me catch a wave. Since then, Bryan has helped me so much. I used to be afraid of even swimming in the ocean! Now, I can truly say that I have become a much more confident surfer. His patience and coaching style is what makes the difference. Thank-you Uncle Bryan! You are the best!!!! Our family was originally from Hawaii and we currently live on the mainland. We very much want our children—Emily, age 11, Eddie, age 8, and Sean, age 6—to learn Hawaiian culture and respect, and we visit every year. The most special experience we have every year is with Uncle Bryan’s Surf School and Uncle Bryan. Our kids want to do it every day. Uncle B and his instructors are safe, hard working, and most of all fun! Our youngest was able to get up on a board numerous times at the age of 5. As a parent, there is nothing more magical than seeing your kids achieve something like that at such an early age. If you are considering a visit to Oahu, it is something so special, it brings tears to your eyes. The photos, video, and special care goes beyond a surfing lesson. Uncle B teaches life lessons through the ocean and land. His ability to gauge and relate to all people is a rare and special gift. If you are considering a surfing lesson, you will get more than your dollar’s worth with Uncle Bryan! When I first started taking lessons from Uncle Bryan I could barely stand on a surf board! I had surfed before but was having a lot of difficulty understanding how everything worked. Within a couple of lessons my balance and confidence had improved dramatically. In fact, I was so happy with the results, I decided to come back to Oahu for 4 months of training with Uncle Bryan! I have been here for just over a month and I have improved so much more. I can’t wait to see myself in another few months! Thanks Uncle Bryan, your patience and hard work have helped me so much! Thank you for sharing your spirit of aloha with us and for teaching my two boys, Jake (age 10) and Taylor (age 7) to surf better and have loads of fun doing it. You guys are so far apart from the rest since you all have such great teaching methods and you are all world class rippers yourselves. We felt like you took us under your wing and really cared for us. You encouraged the boys so much that they are ‘frothing’ to get home and surf regularly. You shared a bit of your lives with us and left us really feeling the true sense of aloha. Our family wishes you all the best and we want to return regularly. Please don’t hesitate to call us if you are in San Diego. We’d love to return the hospitality you’ve shown us! p.s. Special thanks to Nainoa and Aka since they did such a great job in the water with me. Awesome teachers! I just wanted to say that you made my visit to Hawaii special. I had not surfed before I was paralyzed and getting into the water and catching a wave for the first time felt like freedom, it was awesome. You were awesome and so was everybody at Sunset Suratt. Your hospitality and generosity made us feel so welcome, and I felt safe in your confidence of getting me in and out of the ocean but also getting me to ride a wave! I had a great vacation and when I come back I’d love to surf again with you. Aloha Uncle Bryan! Just calling to say thank you. I had another great day out in the water last week, and please thank Aka as well. That was my first real surf lesson, and it’s something I should have done long ago, and something I will do again in the future. Aka is a true pro: fun to hang out with and excellent at communicating his experience. Plus, the dude is a beast; he towed me back outside once after I was exhausted… my first experience ‘tow-in surfing’… or more like ‘toe-in surfing.’ I told you in the parking lot, I learned more in those 2 hours with you guys than I have in the 5 years I’ve been surfing, and that is the truth. So much mahalo! Just wanted to thank you for the wonderful time the kids had learning to surf. Your patience with our 17-year-old autistic son was incredible. He is still talking about how he almost stood up all the way! He will never forget (literally) Uncle Bryan’s fish handshake! It is definitely a wonderful memory that we will have forever. We will recommend Sunset Suratt Surf School to everyone, especially to all our friends. The other kids (aged 10 and up) can’t stop talking about it either, they had a wonderful time with all the instructors. What a wonderful, positive experience for them all. It’s the sign of a successful day when all four kids are tired, still smiling, and talking about it. Thanks again, it’s great to know there are people willing to help and give that extra patience to those that need it. Your guys are amazing and we wish them all the best in their futures. Thanks again! Uncle Bryan, Aka, and Christian, Kathie and I had the time of our lives. Thanks for the great lesson!! Now that we know what surfing is all about, we expect our husbands to tow us out to the waves, push us into the waves, and carry our boards!! Aka and Christian made us feel like mermaids of the ocean and the princesses that we are!! We had an awesome time and checked off another item on our bucket list. Go Surfer Girls!! 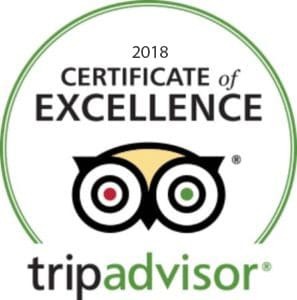 Here are a few testimonials that were posted on TripAdvisor.com and that we pulled off and posted on here. For more, check out the TripAdvisor.com website! We spent two weeks in Hawaii in August, 2009 and the surf lesson at Sunset Suratt Surf School was probably one of the most memorable moments for our three kids…and for us! Thank you so much to Christian and Adam who made sure our children were completely safe and had the time of their lives, taking one wave after the other for 2 hours! Although the North Shore is “tamed” during the summer, it offered more than decent waves on Aug 14th. Our youngest daughter desperately wanted to try surfing but wasn’t feeling very brave. The instructors were so nice and reassuring that she decided to face her fears and came out of the ocean with a huge smile on her face at the end of the lesson. We had a great time watching them and chatting with Uncle Bryan. Our kids took a lesson on Maui a week later, but it did not live up to their experience with Sunset Surratt. Oahu’s North Shore, super nice instructors, a great ratio (2 instructors for 3 kids in our case! ), emphasis on fun (for the kids) and safety (for the parents!) and Uncle Bryan’s company made for an absolutely unique experience…SIMPLY THE BEST! Si vous désirez vous initier au surf sur Oahu, la Sunset Surratt Surf School est incomparable et incontournable! Thank you, mahalo et merci beaucoup! I bought my husband a surf lesson from Uncle Bryan for his 40th birthday. He had an awsome time. Uncle Bryan and Lisa are super nice and knowledgeble about the area. They focus on safety unlike some of the other schools. They have a very low instructor-to-student ratio. They also have a professional videographer who takes great pictures and video. Uncle Bryan has many of the pro surfers that help with the school. We would recommend this to anyone visiting the North Shore! Wow, what an amazing experience. Uncle Bryan and his whole team of instructors were a wonderful surprise to come across. Beyond the fact that he is truly a ‘people person’ with a great personality, he is very dedicated to making sure that my daughter and I were completely comfortable during our lesson. She was terrified to even try it until she talked to Uncle Bryan. He made her see how fun it was before she got in the water and her fears were all gone!!! Each of his instructors were so nice to us and treated us as a part of the family. They took the time to teach us everything we needed to know, such as where and how to stand, how to paddle, where to go to stay out of the other surfers way, etc. He makes sure you learn how to get the best ride and the best experience possible. They really took their time with us and made sure we got the MOST out of our experience. I will recommend them to everyone I know as a must do when they get to Oahu! I met Uncle Bryan 5 years ago and my wife and I took lesson from him. We both got up and loved it. After that we booked lessons with him for 8 days. With Uncle Bryan you will learn from the best and from his boys not only will you learn but you’ll feel like part of the Suratt clan. Uncle Bryan now is teaching my 5 kids and will very soon start to teach my grandkids. Hi Uncle Bryan! I just wanted to say thank you for a wonderful surfing experience. We just got back from hawaii this week. We are in freezing Maryland weather and missing the nice beaches, waves, and Hawaii weather. We really appreciate you taking us in, showing us your family, and allowing us to surf in your back yard. Everett (the little baby) can’t wait to come back! Uncle Bryan and his team are awesome. Our first time surfing was the best experience we could have dreamed for. They are such real people with genuine hearts and their aloha spirit spills over before, during, and after your lesson. My kids are 9 and 7 and they had the best time ever. The instructors pay close attention to your children when they are in the water and we felt completely comfortable the entire time. By the way, did I mention that we all were riding waves within the first 15 minutes?!!! The entire team are true professionals and your fun and safety is their priority. If you don’t take lessons from Uncle Bryan, you will never experience that first wave the way we did. They are simply the best!! Thank you Uncle Bryan, Cru, Mia, Kilani, Aka, Christian, Danny, and of course Lisa! Never in my wildest dreams did I think my shy little 4 year old girl would be surfing on her first time out. These guys were professional, experienced, and concerned with the safety of everyone out there. Never did I feel we were in danger. This was one of the best days my kids and I have ever shared and we will remember it always. We will definitely be going back to Uncle Bryan time and time again till I can quit my day job and become professional surfer!!! Well, maybe I will never be a pro but surfing is going to be part of our lives forever! Uncle Bryan and crew were the best, As first time surfers from Minnesota they made the experience better than expected. I would definitely reccomend them, they are our first choice when we return to Oahu for surfing!! My family has made many trips to the North Shore for our summer vacation and certainly one of the best things we have done was to meet Uncle Bryan. Our daughters have all taken lessons from Uncle at one time or another. They are pretty good surfers now but they never fail to learn something from him either about surfing or sometimes about life. Last summer our adventure was stand up paddling and we had a blast. We have sent many of our friends to take lessons from Bryan and the crew and nobody has failed to rave about the quality of the experience. If you are thinking of surfing or doing stand-up while on Oahu, give Uncle a try. You won’t be disappointed! Learn to surf the world famous North Shore of Oahu with patient, professional, fun instruction that is ‘guaranteed’. You WILL catch waves. I learned from Uncle Brian, and have sent over a dozen people I know to Sunset Suratt with happy faces everytime. Taught with the Spirit of Aloha, their simple, yet comprehensive instruction as well as their extensive knowledge of the North Shore makes it a recipe for success no matter what your skill level. You can tell these guys love what they do and are always willing to help! Sunset Suratt Surf School is simply your best choice for learning to surf or stand-up paddle. Uncle Bryan, Lisa, Cru, and the rest of the Suratt family of instructors will greet you with a big smile and lot of positive encouragement and support. You will have a blast and will stand up on your board and will catch waves. Our international family and friends are always looking forward to their next trip to North Shore, Oahu and getting together with the Suratt Family of surfers and friends for life. Uncle Bryan is the best coach and friend. He has been coaching the world’s top surfing champions for years and also volunteers his skills for several charities working with the handicapped. Mahalo and Happy Surfing! Not being a big ocean guy, Uncle Bryan started me out on a stand-up board and I now love the ocean and surfing. Before Bryan, I wouldn’t even go out to the second break. Now I live in it. Uncle Bryan cares about you being 100% satisfied in your surfiing/stand-up paddle experience. If everyone ran their business like him—meaning focused on client satisfaction—our world would be a better place. Three months after I took a lesson, I was standing at a bus stop, and he wouldn’t let me ride the bus and demaned he give me a ride back to my hotel! Uncle Bryan is the man! I had a great experience with this school. I had never surfed before my HI visit, and earlier in the trip took a lesson in Waikiki, just enough to be able to get up on a board on tiny waves. I was visiting the North Shore and decided to do another lesson. Check-in was easy, and they had me on the waves pretty quickly. My group lesson had just two of us and felt like a private lesson since the other student was going while I was paddling back. I quickly realized the difference a few feet in wave height makes in surfing. I took a couple of nose-dives, and my instructor quickly recognized what I was doing wrong and helped correct it. I had a blast during the lesson and was reliably riding waves by the end. While on the waves, my instructor offered to put my wedding ring in his zip pocket since he’d seen them get pulled off before. I was in a rush to return my rental car at the end of the lesson and disappeared before he had a chance to give it back to me. They mailed it back to my continental US address and even polished it before sending it back. If you’re on the North Shore, or even if you’re staying in Waikiki, I highly recommend taking a lesson with these guys. If I’d been staying another day, I would have booked another lesson.